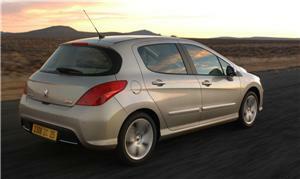 It has been announced that the new Peugeot 308 CC will be unveiled at the Paris Motor Show in September. For those who can’t wait ’til the leaves are falling for details of the new car its manufacturer has offered some details of what to expect. One of many features sure to impress will be the fully automatic retractable roof that can be "magically transformed" in 20 seconds. The designers have ensured that the four full size seats will have increased rear leg room compared to previous models. It is not just legs that will benefit from the new design. A unique warm air heating system built into the front seats will act like a scarf by diffusing warm air adjustable for temperature, flow and direction around the occupants shoulders and neck – a mod-con that is sure to give the car a head-start on its rivals. The importance of in-car communication systems has not been forgotten. A user-friendly sat nav system will offer a MP3 CD audio system, Bluetooth functionality and satellite navigation with a retractable colour display screen.